Cut down some rainforest, and voila! Dairy farming country. and the biggest employer was the Monteverde cheese factory. This morning we took a tour of the factory. Unfortunately the particular varieties they were making today didn’t allow for observers (top secret cheese?). Still, the history was interesting and the samples were tasty, so it was worth the price of admission. Frames for cheese not being made today. The Monteverde factory was founded by a group of American Quakers who left Alabama in the 1950s after a few of them served jail time for refusing to register for the draft. The pacifist Quakers were attracted by the mild climate and by the country’s constitution, which prohibits the establishment of a military. Eleven families totaling forty-four people made the trek to Costa Rica. 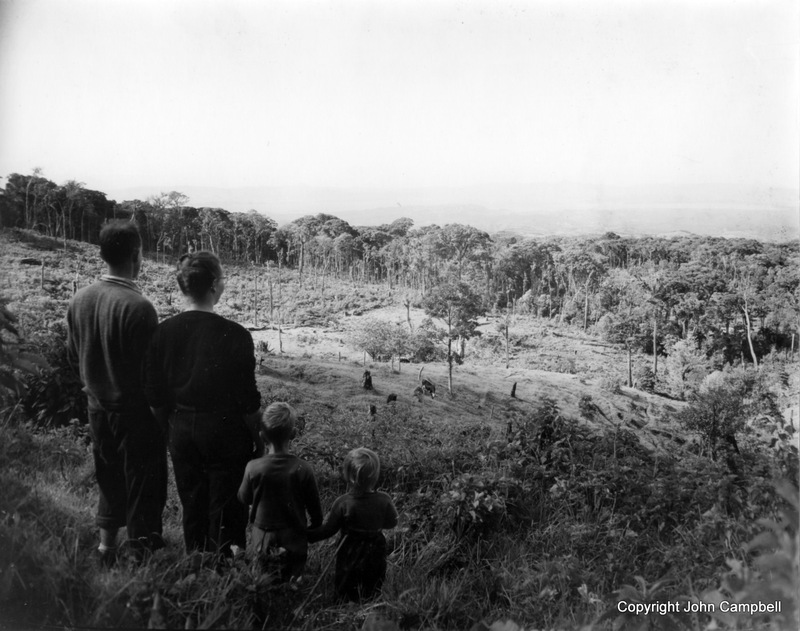 Some came by plane, but others drove trucks carrying the group’s supplies the whole way on dirt roads through the jungle. 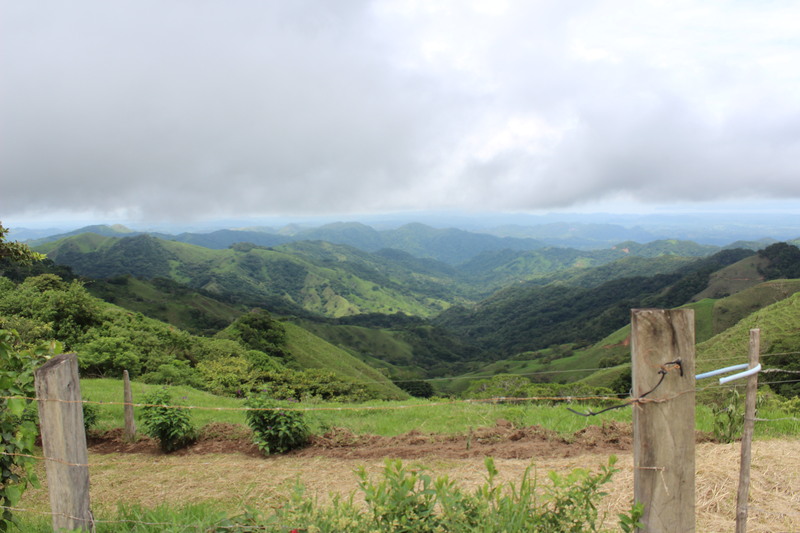 They camped out near San José for a few months until a sympathetic businessman helped them find land to purchase for their new community here in the Tilarán mountains. The pioneers divided their 3500 acre parcel into family farms, setting aside a large chunk of land for community projects including a Quaker meeting house, a school, and eventually the cheese factory. None of them had every made cheese before, but someone thought it would be a good business for the community to start so they sent away for a USDA booklet on cheesemaking. They created a market for their European and American style cheeses in San José and around Costa Rica, where previously only the local style of fresh cheese had been available. 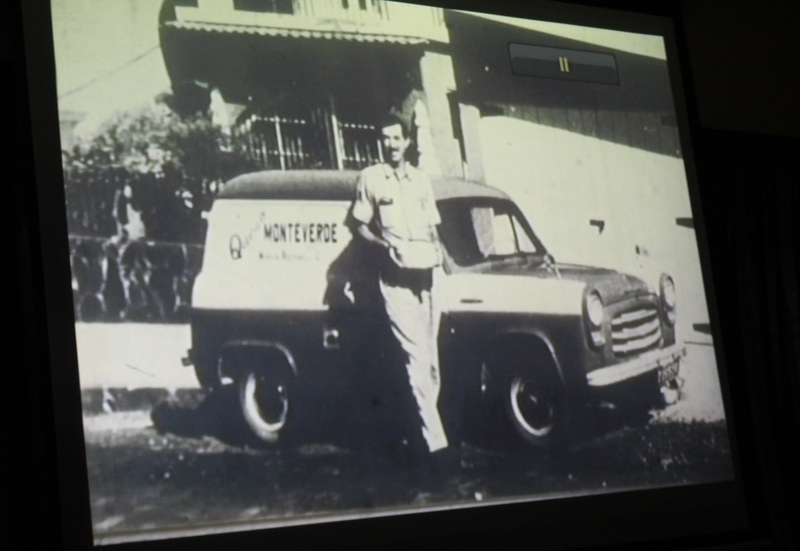 The first cheese deliveryman. 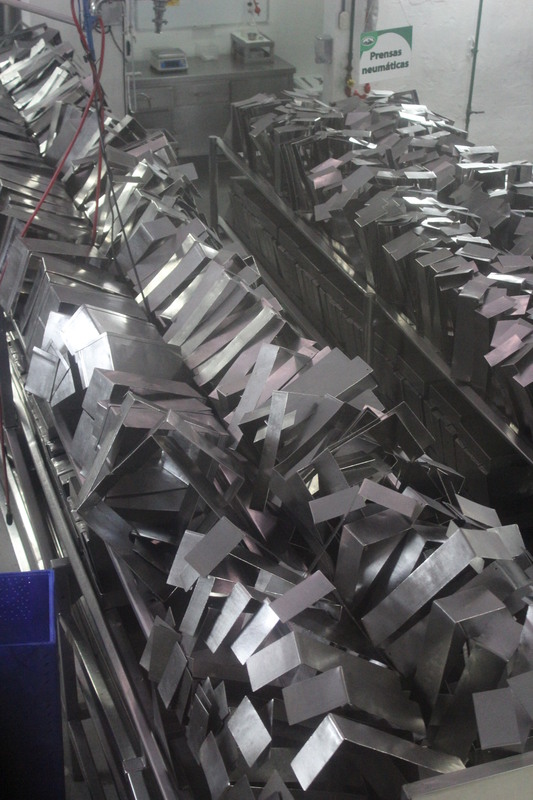 Photo from the factory tour. Not too many of the original families remain in the area, but the Meeting House and the school are thriving, and the Quaker values of community cooperation and pacifism are strong. Probably the pioneers’ greatest legacy, though, is environmental stewardship. Although they did cut down a good swath of forest to make their farms, the Quakers set aside a large portion of their land in the high forest for protection. 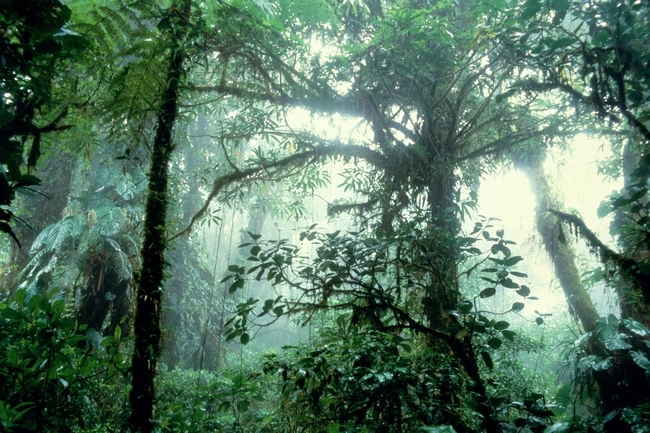 They called this The Watershed, and it now forms a part of the mostly virgin Cloud Forest Reserve. 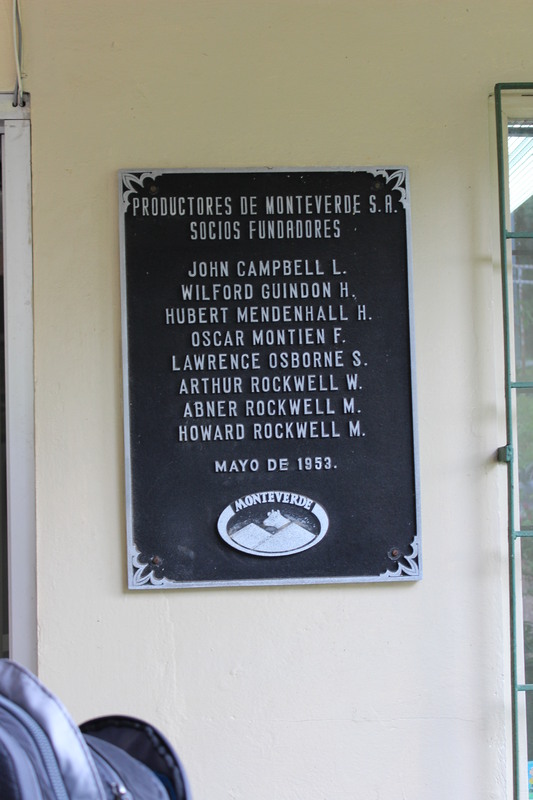 For more on the history of Monteverde and the Quakers there, this site tells the story in more detail. This entry was posted in Elsewhere, Food and tagged cheese, Costa Rica, Monteverde Cheese Factory, Quakers. Bookmark the permalink.